Diets are difficult to maintain. Strenuous exercise takes a toll on your body. And, no matter what you do, you can’t seem to keep the weight off anyway. When you feel like you’ve tried everything, don’t give up! Don’t try the latest fad diet, either. It’s time to dig deeper. There is a reason why the weight isn’t coming off – and your body has complete control over it. Most diets are not successful long-term because they are based solely around deprivation. Diets test willpower: Can you only eat protein? Can you eat only raw foods? Can you drink only energy shakes? Any diet that includes the word “only” is a sign that you and your body are going to be deprived of something, and that is a bad start. Deprivation makes people unhappy, makes them focus on what they’re missing instead of what they’re gaining, and ultimately leads to more failures than successes. Functional medicine seeks to identify the “why” behind a health problem, focusing on treating conditions at their source rather than just putting a band-aid on a symptom. Natural weight loss works the same way. Rather than try to eliminate pounds temporarily, the goal is to look at your body as a whole and figure out why you are unable to shed weight. Chances are, there is one major reason you can’t get rid of those pesky pounds – your metabolism. Losing fat isn’t about calories in vs. calories out. Fat loss is about correcting your metabolism. You may be of a certain age or be overweight but that doesn’t mean you are automatically at a disadvantage. When you reset your metabolism – and it can be done – your body will burn fat naturally, without crash diets or exercise. Your body is designed to burn fat for energy, and this function allows you to lose weight without leaving saggy skin behind. Most people, unknowingly, have trained their bodies to burn sugar instead of fat. That’s right – sugar. Do you know when you’re burning sugar and when you’re burning fat? Understanding and recognizing the difference will allow you to easily control your weight – for the rest of your life – without bone-jarring exercise or unrealistic restrictive diets. You can’t find a simple, easy-to-follow system to keep fat off. You have lost stamina and strength. You feel like you have stubborn weight that won’t go anywhere, even with hard exercise. You’re tired of fad diets that don’t work. You don’t want to feel like you must constantly suffer to lose weight. It is possible to virtually melt away fat without strenuous dieting or excessive exercising. And your body can do all the work for you, naturally. A fat-loss management system, properly administered, is safe, easy to follow, and works because it gets to the core of why you’re not burning fat. Common-sense protocols based on scientific principles are introduced into your daily life through a metabolism reset program. Using this system will give you more energy, allow you to enjoy and appreciate your body shape, and improve your skin and complexion. Not to mention, your self-confidence will be super-charged. How does a metabolism reset program work? You choose the number of pounds you wish to lose. Our team plots out a customized program for you, and a timeline to get you to your goal. In 6 weeks, we will turbo-charge your metabolism. Your body will shift from sugar-burning mode to effective, fat-burning mode. Once you get the fat off, you will learn how to keep it off with powerful fat-burning strategies powered by your own body – and they don’t have anything to do with exercise. Weight loss isn’t just about looking better in clothes or feeling better in your own skin – though, of course, these things are important! Weight loss is also about improving your health. The right weight loss program doesn’t put your health in jeopardy, it makes your health better and improves your weight along the way. You can reverse and prevent disease when you banish bad fat. The metabolism reset program at the Restorative Wellness Center in Ann Arbor is not a diet. It’s not about willpower, hormones, radical changes, or deprivation. Once your personalized program begins, it’s possible to lose up to 1 pound per day. Shift your metabolism toward fat-burning mode and away from sugar-burning mode. Kickstart your metabolism and teach your hormones to burn fat all day and all night. Learn the difference between good fats and bad fats so you can eat the foods that will help you burn fat. Learn how to exercise at the right time, without stressing your body, joints, and muscles. Tired of being overweight? Tired of fad diets? Contact the Restorative Wellness Center in Ann Arbor to schedule your free consultation and get on the path to your very own metabolism reset. 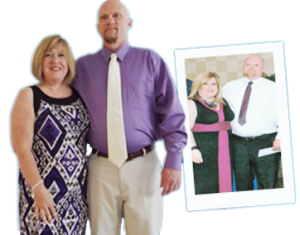 Why do people love our weight loss program? Instant Results: Our team is ready to help you achieve your health goals!